Destination Imagination (DI) is a non-profit, volunteer-led, cause-driven organization. Our purpose is to inspire and equip students to become the next generation of innovators and leaders. Annually, we offer seven new standards-based Challenges in STEM, Improv, Fine Arts, Service Learning, and Early Learning. Each Challenge is open-ended and enables student teams to learn and experience the creative process from imagination to innovation. Academic tournaments take place around the world where teams have the opportunity to present their solutions to trained appraisers. Students have fun and gain confidence in their ability to solve any challenge. In working to solve our Challenges, teams learn 21st century skills (creativity, critical thinking, collaboration, communication, citizenship and courage) to build on their unique strengths. There are seven new Challenges to choose from each year. Each of the Challenges is developed by a team of educators and industry experts who target a particular area of the curriculum and its related standards of content and performance. The areas of focus include: Technical, Scientific, Fine Arts, Improvisational, Engineering, and Service Learning. There is also a non-competitive Early Learning Challenge (Rising Stars) that allows participants to develop social and problem solving skills. 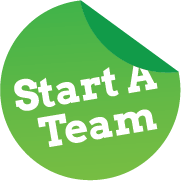 click here to visit our “Start a Team” page.